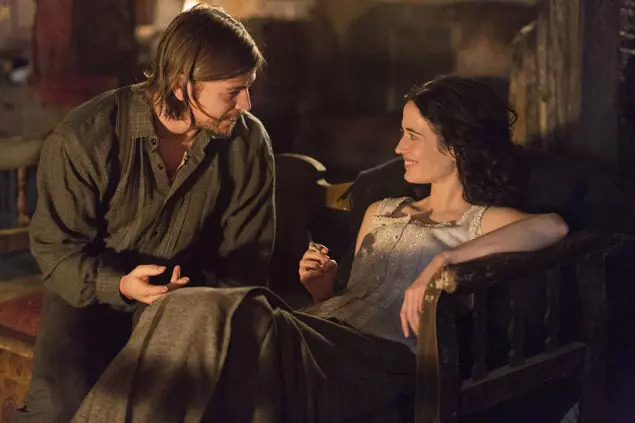 It’s not exactly weird that “Penny Dreadful” is into season three. Eva Green. Josh Hartnett. Billie Piper. Their star power keeps the show alive. Timothy Dalton also makes a strong show, but honestly -who cares about him anymore? What’s most perturbing about this historical horror/thriller, however, is that even all the star power is unable to keep it interesting. Until now, at least. 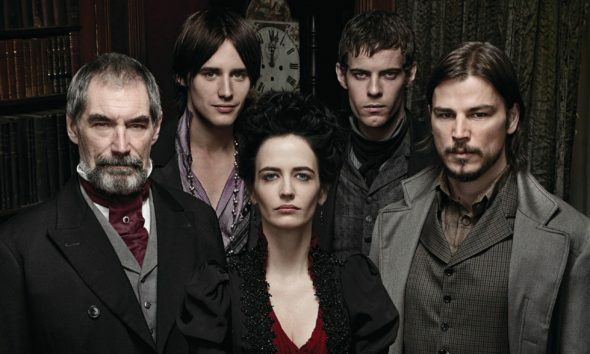 “Penny Dreadful” covers imperialism in season one. It’s novel, seeing the absurd grouping of 19th century characters and tropes fight against an evil foreign incursion. It also becomes boring, more overwrought than the genre requires, and a tad silly. Surprising, then, that the last few episodes tie it together beautifully. Achebe himself would probably appreciate the message. Season two covers the Victorian domestic sphere. Gone is the Egyptian evil, so appropriate as an allegory of the time’s economy. Instead we have witches. It explores the origins of power, we can presume. Of power and lust and the Victorian’s notorious sexual repression. It too, was boring. Very boring. Too much pish-posh in the Queen’s English and not enough willingness to explore the era’s domestic power structures…and struggles. Perhaps the only exception in the introduction to Lady Frankenstein. Still, it’s too specific to really plug in as a critique of the era’s gender norms. Now it seeks to cover the cousin. Season three takes us to the Wild West. Oh sure, there’s still lots of dingy old London to spare. But the change of setting allows us to compare and contrast. The U.S. policy of westward expansion undoubtedly amounted to one of the biggest genocides in history. It’s appropriate that American-born Ethan Chandler (Josh Hartnett) is a werewolf. The Indian Wars were full of depravity and excess, after all. His inclusion is particularly harmonious with the show’s underlying allegorical structures. Which begs to us to ask…does the fantastical dampen the effect? The Victorian Gothic genre drips with sexual tension, redirection, and repression. It focuses on the listlessness of the interior, the threats of the exterior. Take that for what you will. Island geography, doubtless, influences the thoughts of Britons. Danger. Passion. Sinister foreign influences. Interloping. These are all exoticims done by exotic people. Which, of course, begs another question -is “Penny Dreadful” more exploitative or progressive? Or rather, where does it lay on those two poles? Gothicism has a reputation for both. For every Marquis De Sade there’s a Jane Austen. 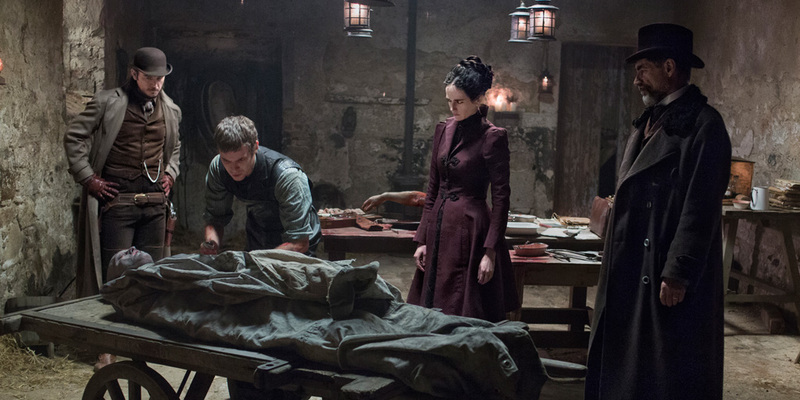 But “Penny Dreadful” is capitalizing on the past’s miseries without truly critiquing them. There are no tales of the Rhodesia Railways. No portrayal of interned indigenous peoples. No show of how difficult, and unfair, Victorian divorces were. But this isn’t just a Showtime production! Sky is involving itself too! And those Brits are well known for their progressiveness. Their fixation on external forces weeviling through their pure island race, though, does unfortunately still crop up. Just see “The Fades.” That even got a BAFTA, sadly. I suppose it’s just as sad that such talent, and money, is spent on “Penny Dreadful.” But maybe this season will make up for it. Either way, watching an emaciated Eva Green croak out her lines is something to watch.